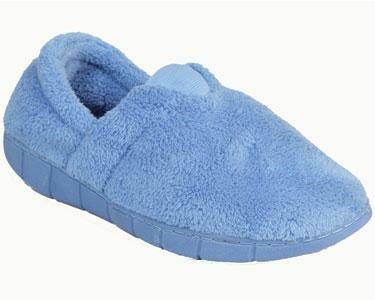 Check out Muk Luks Slippers. These fabulous, fleece slippers are perfect for lounging around the house in comfort. This fresh Espadrille Slipper is perfect to throw on when you're in a hurry and want a cute, comfortable option. Our Muk Luks Rocker Sole Espadrille Slipper also comes in extended sizing for women with size 11-12 feet!